I haven’t forgotten loose ends I haven’t had time to tie: inserting the citations into Letter to a Medical Student [part 1][part 2][part 3][part4], and posting the last installment of How to Get Rid of Ants for Good [part 1][part 2]. The information in the first two parts is no longer enough for people to solve the problem without the 3rd installment. I’ve drafted it, I just haven’t been able to finish! I didn’t want to post anything new until I got around to finishing at least those two things, but I couldn’t help posting this amazing talk by Salman Khan of Khan Academy. Wow. Anyone who homeschools should see this. Anyone who schools should see this. I love his analogy of education being like building a house. What’s the purpose of having some kids finish 60% of the foundation and 50% of the framing, and then moving on to something else just because everyone else does? I went to a public school in a small town in South Dakota when I was a girl and it was a work-at-your-own-pace place, with so much enrichment. I have since met SO many creative and accomplished people who came out of that one small program. I keep hoping he’ll try the site strategies, because I’m beginning to think this has to be experienced, even by those who don’t have eczema (especially by those who don’t have eczema) for anyone else to understand the broader medical and environmental implications. To get researchers to understand why there’s almost no way the underlying environmental issues involved as described on SolveEczema aren’t a factor in bat white nose syndrome/bat fungal susceptibility — they almost have to experience the process and transformation themselves, again, even if they don’t have eczema. Great talk for anyone who cares about education. Atopic dermatitis is not just a growing problem for people, more and more household pets are suffering as well. Horses can be affected, too. I will deal with this topic a little more in my book, but I felt like I had to write at least something now. 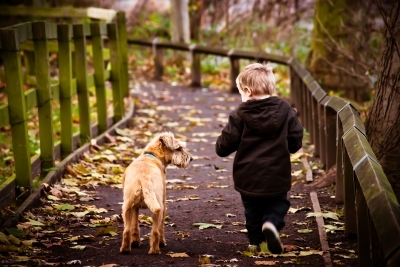 Because dealing with this issue for dogs, cats, and horses is far easier than it is for babies, animals cannot help themselves by telling us how they feel, and these environmental aspects of the problem are addressable and not their fault. Households that try these environmental strategies may also find that in addition to helping skin, the animals may themselves end up less allergic, and be less allergenic to people. As I point out on the SolveEczema.org website, these are my own ideas, they are novel; I am not a health professional and I am certainly not a vet. The ideas are the result of “citizen science”, consistent with the body of available mainstream research but have not themselves yet been the subject of such research. The information is supposed to augment the relationship between health professional and patient, not supplant it. I always strongly suggest people keep their health professionals in the loop, and that’s not just a liability disclaimer, it’s because it’s important. Your doctor or vet or naturopath knows you, your child, your pet, and if anything else is at issue or something goes wrong, they know what to do to keep you safe. Having a trusting, working relationship with a good health care provider is like gold. As I also point out on my website, it’s necessary to read through the information before making any changes, and especially before making assumptions. People often incorrectly think they know what the site is about, and either take the wrong or inadequate measures, or dismiss it out of hand. For example, many people believe that because there is a genetic component to the susceptibility, that the problem cannot be primarily environmental in origin. There are actually fundamental reasons under the circumstances that the problem CAN’T be primarily genetic even when there is a strong genetic component, which I will discuss in the book. People — and pets — with the atopy, those WITH the genetic susceptibility, are the most likely to be HELPED by these environmental measures. *The dust in people’s homes, which cats and dogs are more directly affected by even than people, is full of substances that significantly impact the permeability of their skin. The increased permeability leads to excessive water loss, dry skin, and more allergens crossing the skin barrier. The disrupted skin is also more susceptible to bacterial and fungal infections, and not just because of the broken skin, but because the substances inactivate important proteins. These substances also increase healing time of membranes. Solving this problem involves changing what is in the dust, which is very doable, not having a dust-free home which is impossible. *The surfaces dogs and cats spend most of theirs days lying on are coated with these same substances, which can be absorbed from contact. *Many of these substances are in the fertilizer and poison products sprayed around peoples grass and homes outside as well, which dogs and cats also spend a lot of time in contact with. *Most commercial cat litters are full of these substances. When a cat grooms herself, she not only ingests them, she also dissolves these substances into the dander, making the dander even more allergenic than otherwise. When a cat walks around the house, these substances are tracked around the house and added to the dust of the home. *Most products used to wash dogs, even “natural” ones, contain these substances, and residues left in their coats (and there are ALWAYS residues) cause the same problems described above. Trying the strategies from the website does not have to be a lot of work. 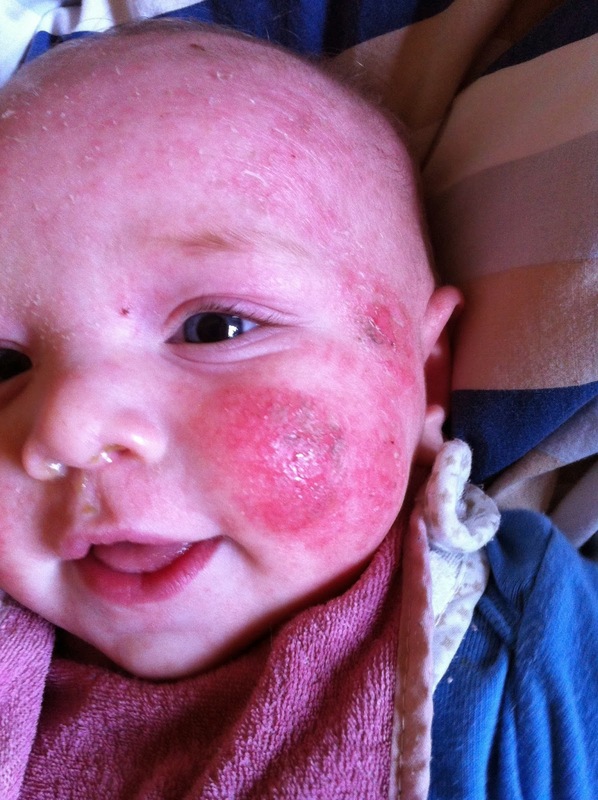 Please be aware that the site is geared to people with infants who have the most permeable skin and greatest susceptibilities, and who need to see the fastest, most dramatic results. To help animals, you don’t have to sweat the small stuff, just be aware of what measures will have the greatest benefit and impact. *Helping a cat or dog with AD is not as difficult as helping an infant human — the whole house has to get on board, but you won’t have to sweat the small stuff (like makeup or deodorant) — however, the same principles apply. *Treating fungal problems is more of an art, and can sometimes require long-term application. Treatment fungal problems initially can cause Jarisch-Herxheimer responses, known as “die-off” reactions, which seem to make things worse. This disruption in the membrane can actually make things worse and stymie results, plus it’s just uncomfortable for the pet patient, so effective antifungal treatment may involve both using a steroid temporarily with the antifungal, followed by longer-term antifungal therapy. To minimize die-off for a known fungal problem, sometimes it’s necessary to back off the treatment and begin very, very slowly, with very small amounts ramped up to full strength, and to treat for a very long time. Switch treatments if one no longer seems to work. 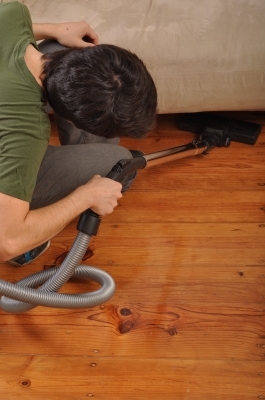 *Getting a good well-filtered vacuum is an essential step. *If you have carpeting, especially old carpeting, consider removing it and replacing it with some kind of non-allergic surface like hardwood flooring or Marmoleum/natural lineoleum, perhaps with area rugs as necessary (washed only with non-detergent products). A friend clued me in to a way to find Marmoleum cheaper: Talk to the local supplier and ask if you can add square footage to the next really large order they get (provided you like the material). We know someone who got really high quality Marmoleum for the price of cheap vinyl that way. Natural linoleum is not as easy to install and it’s better to have an experienced pro do this. 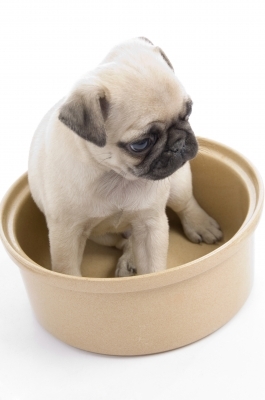 *Can you wash out the cover of your pet’s bed or bedding? 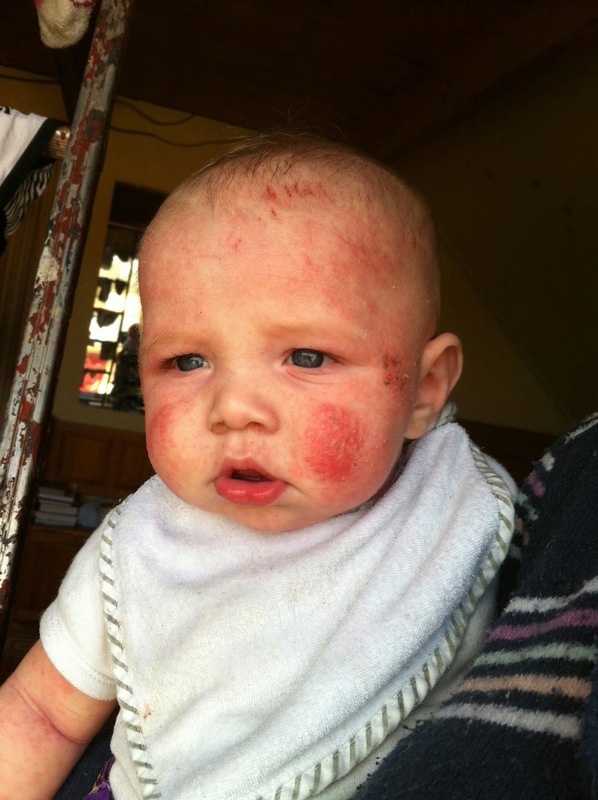 Follow the SolveEczema.org website strategies for superwashing. If you have hard water, it may take more washing than suggested. Use one or two washes with just 2 cups of white vinegar in the wash.
*Remember that the dust in your home is mostly made up of your skin cells, hair, and lint, and that your pet spends most of their day in it. Marketing is powerful — even if there are better ones out there, people can be very strongly and irrationally attached to their personal care products (especially since there can be worse ones out there). You’re just changing what you use in order to help your pet, and it does not have to be a compromise, you can find things you like as much or better, but you may find some you like less in the process. Don’t give up! *For most good products, the biggest influence on whether new products work well and produce lovely results, in my experience, is not the products themselves but the hardness of the water. It will be more difficult to find acceptable products for people with hard water. *If you don’t have time to superwash the laundry, you can take a lower-key approach that may take longer and produce results more slowly over time, but is far less work. First, switch to a very benign detergent like Planet (the only syndet I feel comfortable recommending) for a few weeks. Then switch to just using baking soda and/or vinegar in the laundry for a few more weeks. Then switch to true soap in the laundry, but wash each load twice. Once with soap, and then once with just water. Be sure to follow all the directions about washing out the dryer of previous detergent residues, and be sure to clean out all the detergenty lint in the laundry room. *For cats, investigate non-clumping cat litters, like cedar chips. Unfortunately, the clumping litters are the ones with significant amounts of detergents or clays that are very hydrophilic and could theoretically cause the same problems. *In the case of benefiting just the animals, you also don’t have to switch your dishwashing products, but I recommend doing so anyway as a healthy step for the benefit of everyone’s mucous membranes. Our digestive systems make up a goodly portion of our bodies’ immune systems. If you don’t take this step, do at least buy non-detergent soaps to wash the water bowls and toys of pets with AD. *You can’t necessarily use bathing to control exposures of animals as you can children, but you probably won’t need to. But still, use baths judiciously relative to exposures, as “eczema removal time”, such as when the dog (or cat, IF appropriate) is scratching from spending time in the yard. *With pet fur, it’s also probably impractical to moisturize. People who use the site strategies usually find over time that they no longer need to anyway. Absent these abnormal environmental influences, a pet’s skin should not need moisturizing. As with humans, the creamy absorbing moisturizers can backfire and cause more water loss later (see SolveEczema.org blog posts about dry skin). *Most vet sites recommend to control other environmental allergens like mold and dust mites. I will write more about this contributor to dermatitis for people, too, soon. *Remember that even people who do not get eczema themselves usually benefit from these steps in the health of their skin and other membranes. it may not be apparent at the beginning, but a few months into this, pay attention to your own skin — you may find it’s better than you ever remember. If not, you should find better products, because they exist! *I know how difficult it can be to change products. Marketing is very powerful, even when people are aware of it. I remember what that’s like, but now feel much happier with most of the best products I’ve found. That said, dogs and cats are likely to see some results even if there is a “holdout” in the household. 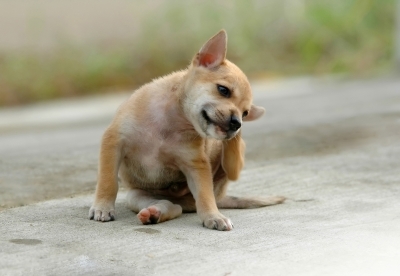 If you try the site strategies for your pets with eczema, please let me know how it goes. Use a search engine to learn about “canine atopic dermatitis” — although I don’t necessarily agree with various sites about what to do about it, it’s clear that it’s a growing problem. If you are helped by these strategies, please consider returning to the website donations page and making a donation — most people don’t (and that’s okay, that’s obviously not why I do this! ), but they do help. 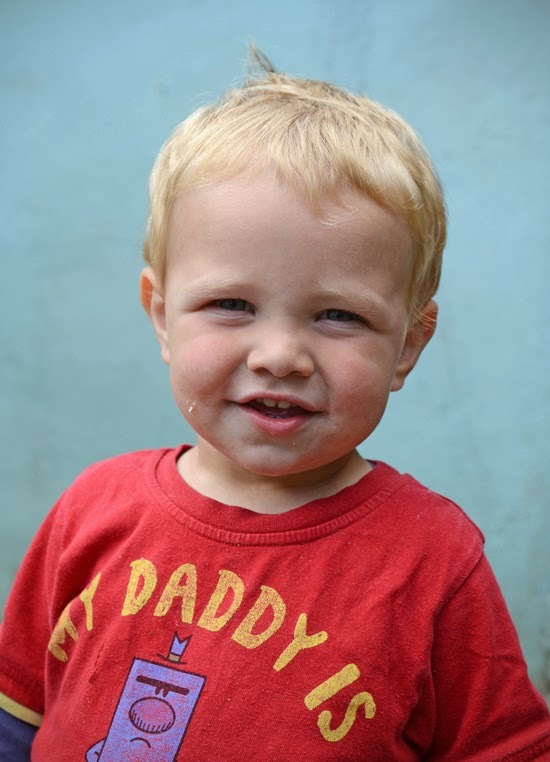 People are often willing to pay far more for treatments that don’t work, so if this has been worthwhile to you, please consider a donation, it does help. Thanks! Please check your sunscreen right away! 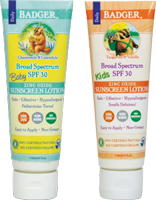 I have used this sunscreen for years — love it! — and think they are doing the responsible thing by letting consumers know. Off Topic (sort of): Is the Placebo Effect Real? 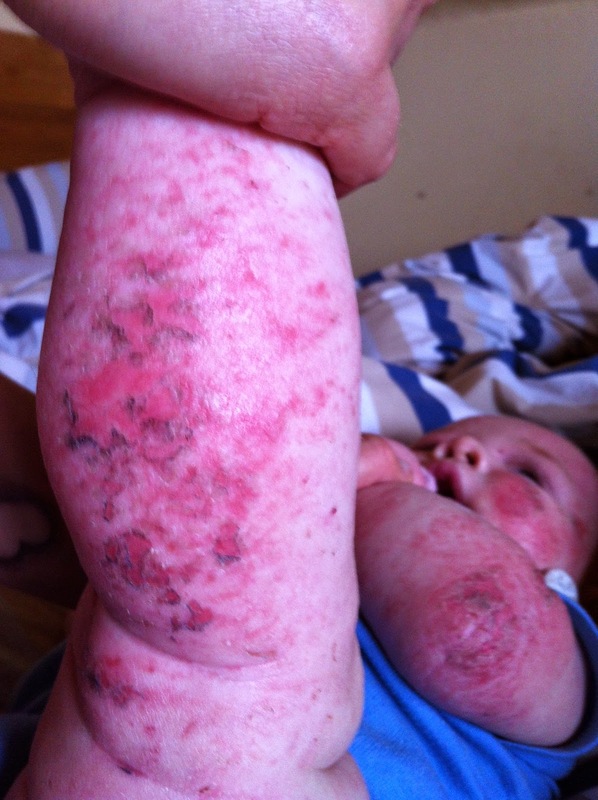 In order to help people with my site and blog, I try to stay away from saying anything controversial — aside from my belief that eczema is eminently solvable and understandable, and that there is nothing really wrong with these kids absent these relatively new environmental influences. I only wish what I have to say in this post weren’t controversial — I don’t know why it is, but it is. Forgive the lack of photos, I’ll try to remedy that soon. 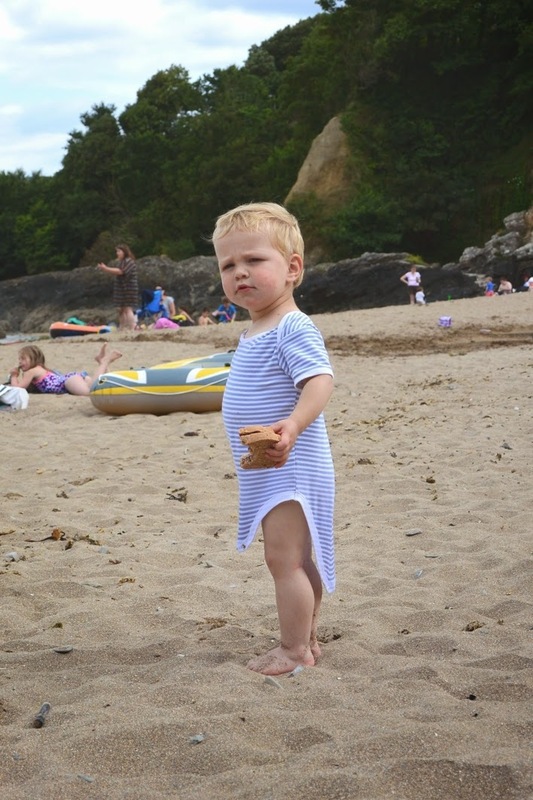 This post is excerpted from a letter I wrote many years ago, and it highlights the philosophy that led to the way I went about problem solving eczema for my son. I have posted this opinion anonymously online since, but I may as well come out and say it. There are critical (unnecessary) barriers to solving intractible health problems, and real people suffer while we all wait for those in ivory towers to break them down. In the era of distributed knowledge and the Internet, that must change. More than ten years ago, Danish researchers Hrobjartsson and Gøtzsche published the watershed study, “Is the placebo powerless? An analysis of clinical trials comparing placebo with no treatment,” in the New England Journal of Medicine. The two researchers looked through the history of placebo-controlled clinical trials and found over 100 studies that included three patient groups rather than two: 1) a group given treatment, 2) a group given a placebo intended to mimic treatment, and 3) a group given nothing at all. The authors decided to compare the groups given nothing to the placebo groups, and found that there is no significant clinical effect associated with placebos. In other words, the placebo effect – interpreted as improvement resulting from patients’ belief in a treatment – is more myth than reality. As you might imagine, the study generated quite a firestorm in the medical community. I remember reading a letter by the head of Harvard Med School, in which he scratched his head at the earth shattering results, but also said he wouldn’t want anyone to give him a placebo. And after such earth-shattering results, then what happened? Although these researchers were arguably the first to make a dent in ironclad beliefs about placebos, especially in the media, they are not the first to analyze and refute the concept. No one is claiming that placebo-controlled trials are unnecessary. On the contrary, these studies further emphasize the importance of placebos in clinical trials to eliminate the junk drawer of biases and other effects that needs to be separated from the clinical effect of the drug or treatment under scrutiny. But the studies also point out how sloppy definitions of the placebo effect have perpetuated false beliefs. The popular lay understanding of the placebo effect — the myth — is of powerful physical changes that result from an expectation or hope, a belief that good will happen if one is taking a medication (or that bad will happen if one is expecting bad side effects). On the other side of the spectrum, is the definition of placebo effects as what is attributable to everything else that is not a medication effect – including the natural course of the illness, other effects caused by a placebo, even reporting biases among researchers and patients. When the definitions are confused, the placebo effect is falsely supported as resulting from belief in treatment. Patients were divided into three groups — patients to receive one of two popular arthroscopic surgeries, and a patient group to receive a sham surgery in which they were operated on and closed up without any actual surgical intervention. Patients in all three groups improved, and this was taken as proof the placebo effect is powerful, and equated to mean the belief in treatment produces powerful effects. But in fact, if people read the full article, they could see the placebo in this study wasn’t just the surgery. Patients in all three groups – those given one of two different kinds of common knee surgeries and those in the placebo surgery group – all patients followed a comprehensive regimen of rest, walking aids, gradual exercise, and analgesics, in addition to their surgeries. So, the placebo in this study was not just a sham surgery, the placebo was a sham surgery AND a comprehensive regimen of rest, walking aids, gradual exercise, and analgesics. Unfortunately, there was neither a group that got the same regimen of rest and rehabilitation but did not get surgery at all, nor was there a control group that got nothing, to determine whether the observed improvements were from an independent effect of the placebo (i.e., improvements from just the rest and rehabilitation) or the natural course of the disease. The study authors merely examined whether two common knee surgeries produced better outcomes than a placebo surgery (they did not), the study design in no way supported the existence of real clinical changes stemming from patients’ belief in treatment. In fact, the study authors made oblique reference to the Hrobjartsson results and suggested themselves that the effects they observed could be the result of the natural course of the disease or related to an independent influence (but not the result of a belief in the treatment). Despite such serious research supporting the need for a revolution in how we think about the placebo effect, nothing has really changed in over a decade. Too few studies bother to delve into how the natural course of a disease plays into the picture. If we know now from definitive research that improvements aren’t from belief in the treatment, but the result of something else, shouldn’t we be acting on this? I’m sorry to burst one of the happiest bubbles in popular medical mythology, but there is just no good evidence that belief in a treatment alone produces a significant clinical change down the road, only wishful interpretations that it does. Now, I’m not suggesting there is no mind-body connection, far from it. I’m only saying that just because we see some obvious mind-body connections, does not mean that the conscious brain has unfettered control of all physiological processes. Just because you can jump over a box, does not mean you can leap tall buildings in a single bound. I’m also not saying, believe it or not, that there will never be a role for harnessing hope in medical treatment. I’m just skeptical that sham treatments are the right vehicle. If a passenger tries to catch a moving train, for example, a sudden surge of hope might make all the difference in whether she catches it and reaches her destination. The surge in hope won’t allow her to keep outrunning a train forever, though. In other words, a short-term belief could affect the long-term outcome in a significant way – but only if the train is real, not a mirage (or a sugar pill). There is a much more serious issue at stake here than whether we can harness the power (however minor it has proven to be) of belief in treatment. The popular concept of the placebo effect—as resulting from belief—undermined the crucial role of empiricism in medical practice, which has in turn seriously degraded the scientific authority of clinicians (even within the medical profession, very rigorous and scientific observations by good clinicians of individual patients are typically deemed “anecdotal” by definition). This has in turn led to an over-reliance on statistical studies in medicine to problem solve for individuals (leading naturally to “one-size-fits-all treatments”), rather than to PROVE solutions found through empirical means. In the decades since the concept of the placebo effect was first embraced, how many millions of times have doctors come across clinically significant improvements in their patients, even cures, but dismissed what they saw as the probable result of their patients’ beliefs in treatment, the irreproducible products of their patients’ minds? How many times have clues to cures been left uninvestigated because of how beliefs about placebos lead to handwaving about the “vagaries of the human body”? We know now, we have solid proof now, that significant clinical changes are not the result of beliefs but of something else. Something else — like the rigorous plan of rest and rehabilitation in the arthroscopic surgery study — that could, through empirical problem solving, be discerned and tested and turned into a solution or many solutions. Every day, the belief that clinically significant improvements in individuals may merely be the result of the placebo effect costs our world opportunities to solve or cure tough diseases.